💛 For nearly 40 years the internationally acclaimed Colour Me Beautiful team have been sharing their secrets to feeling confident on the inside and looking great on the outside. 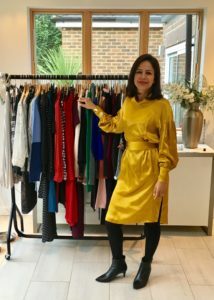 The most important thing to start with is colour and mustard is good news for people who can pull off contrasts, says former MD Veronique Henderson. Redheads and women with porcelain skin and bright blue eyes can easily wear mustard as it works in striking contrast to their features. 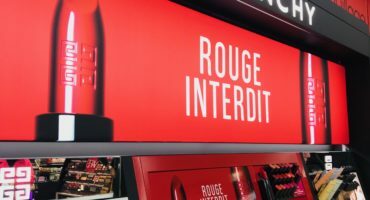 It can be easy to get hung up on complexion and colour harmony, but Henderson suggests a variety of ways to introduce mustard and its tones with confidence. This article is adapted from The Telegraph. 💛 Mustard is a warm colour so it won’t do you any favours if you have a cool, pinkish skin tone. If you love it, avoid wearing it as a solid colour near your face, or wear it on your bottom half. Even better, chose a design or print in which mustard features as one of several colours. 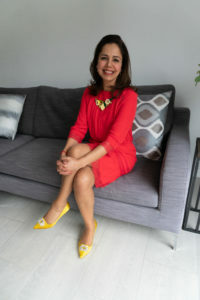 I have one mustard dress (see image), which I think I can just about carry off with my colouring, but I prefer wearing mustard in accessories. Mustard and grey, lemon and bubblegum – if it sounds like a peculiar food pairing, go for it! Yellow requires a strong colour to stand up against, which is why a redhead looks more at home in a sunshine sweater than someone with mousy-coloured hair. The easy way to show you are au fait with fashion’s current colour lust: pick one statement accessory. 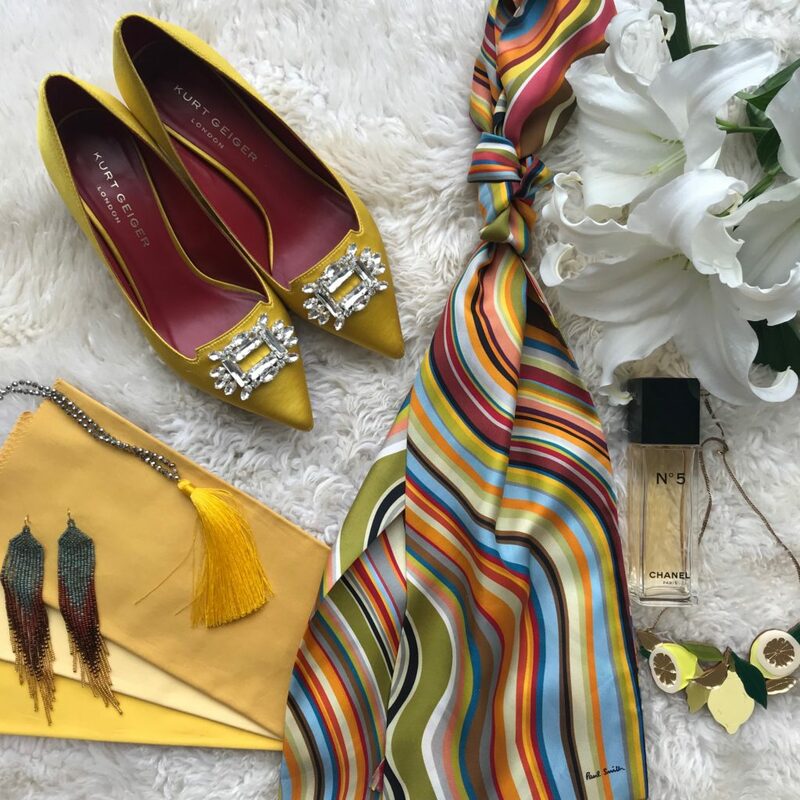 A yellow handbag, necklace or scarf is a cheery nod to the sunny shade, whilst a pair of kitten heels would be tres chic.